Jay Cozma recently joined Spirits Platform as BDM in Sydney after a long and diverse career as a leading international Bartender. Jay’s journey so far has been anything but conventional. In fact, he believes his unique work experiences from all across the globe that lead him to the opportunities from working in international bars to working for a premium spirits distributor. He grew up in Sydney’s inner city for most of his life. In his teens, whilst doing the mechanic apprenticeship he worked in a bar working his way up from glassie to cellarman. “I really enjoyed working behind a bar – you got free beer and money to buy more beer!” Jay recalls. In his early 20s, he started working in a big pub on the South Coast, then moved back to Newtown as a bartender. During this time, he also completed his Diploma in Hospitality Management and he’s never looked back. Playing pool tournaments and representing Australia in the US, UK and Asia lead him to focus on bartending. Whilst in the US, he learnt a different way of bartending in high-volume bars where the focus was on speed and where service was key. Jay explains “It quickly taught you to interact in a different way”. He loved his job and even did an NBS (National Bartender School in the US) landing him a job. His tremendous sense of adventure and networking led him to the Camden in the UK – a high-volume cocktail bar, making 80s influenced-cocktails, like those ‘2 for 1 happy hour’ cocktails!! He travelled to Hong Kong, then onto Seoul in Korea, for over a year and decided to come back to Australia to work as Food & Beverage Trainer, in Hayman Island. Soon he would get itchy feet again, so he travelled to Thailand and lived in a jungle and even worked a backpacker bar in Chiang-Mai for a year! After countless adventures and learning curves along the way, Jay finally came back to Australia where he decided to focus his skills and knowledge on Whisky. His new goal was to work with great bartenders and managers in more high-end bars. Jay felt that it was his international experience that gave him “a foot in the door” with a lot of high-end venues. 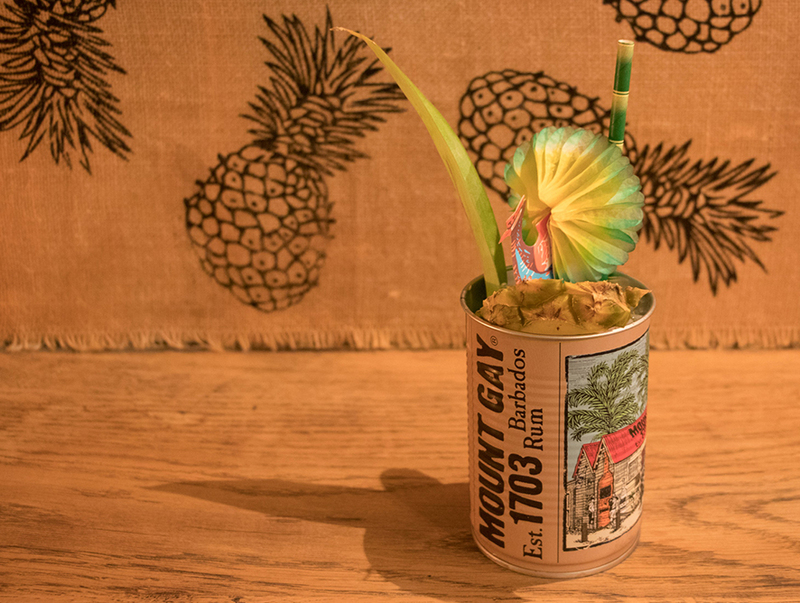 After a few stints in high-end bars, like Howl and Wolf and Eau-De Vie Sydney he was asked to open a bar in Sri-Lanka – a challenge he could not refuse. Jay explains what lead him to want to work in a corporate environment “I want the work-life balance, so I can pursue my 2 passions simultaneously – learning more about spirits and whiskies during the week, whilst being able to pursue my love for diving on the weekends.” Jay’s globe-trotting bartending adventures had also given him the opportunity to dive all around the world. The strength of the portfolio speaks for itself, and Jay admits it has made his transition from making cocktails to selling spirits much easier. Knowing the products and having used many of them has certainly helped him. There’s still a steep learning curve and challenges but for the most part, he is enjoying the ride. He’s delighted to be able to sell The Macallan and Cointreau. “Both have a great brand presence, both are reputable, high-quality and very drinkable”. Jay says. Cointreau is synonymous with some of the most popular cocktails like the Margarita and Cosmo. And, the Macallan, it’s got such a loyal following, and is probably one of the best single malt whiskies on the market. But it’s not all smooth-sailing. He’s had a few challenges, and one he recalls has been around METAXA, simply because not a lot of people know much about it. “The METAXA 12 stars is a great amber spirit, it has a lighter flavour profile, more floral and it works well in sours, like the Wild Cosmo or the Mule. There really isn’t anything else like it. The darker METAXA, 5 and 7 are great for aromatic cocktails, like Old Fashion, even a Sazerac variant is awesome!” states Jay. If bartending, diving, motorcycles, country music and selling isn’t enough to keep him busy, Jay thought he’d try something different and challenge himself even further. He is heading off in June to the Mattoney Grand Prix in Prague – a non-alcoholic cocktail competition involving 60 countries competing, representing Australia. “The enticing part is it’s still a new frontier and there’s a lot to be learnt,” Jay explains. 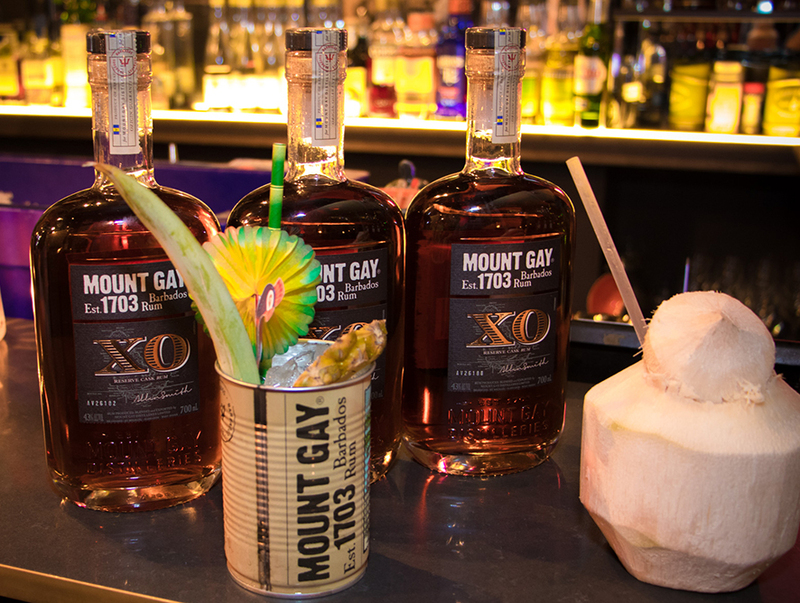 At a recent Spirits Platform event for Mount Gay Rum at Lost Luau, Jay couldn’t keep away from the bar. He’s pictured making an iconic cocktail – the Royal Bermuda Yacht Club. 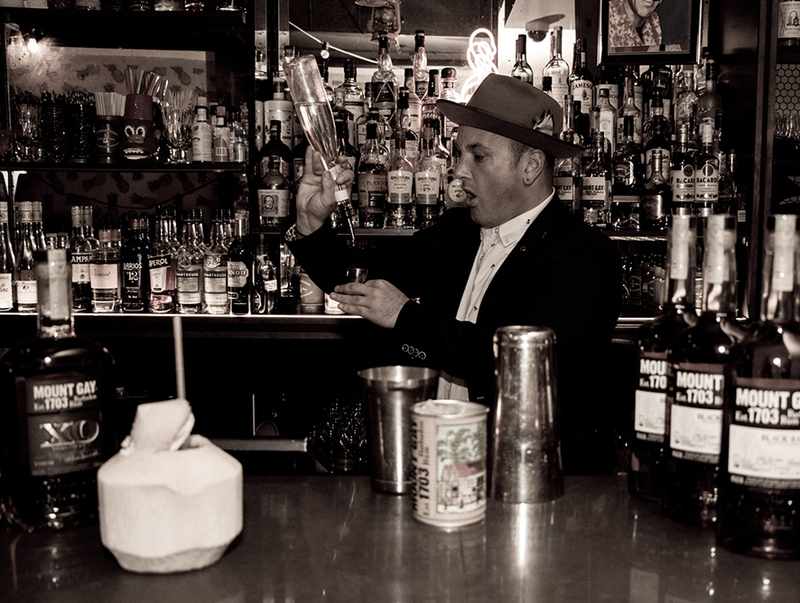 What does an international bartender turn spirits salesman like to drink? “There’s are so many but one that clearly stands out is the Missionary’s Downfall”.